Cambridge University Press is looking to build an online platform that will improve their publishing offering for authors. The current process is not standardised and involves multiple (often conflicting) tools and software systems. 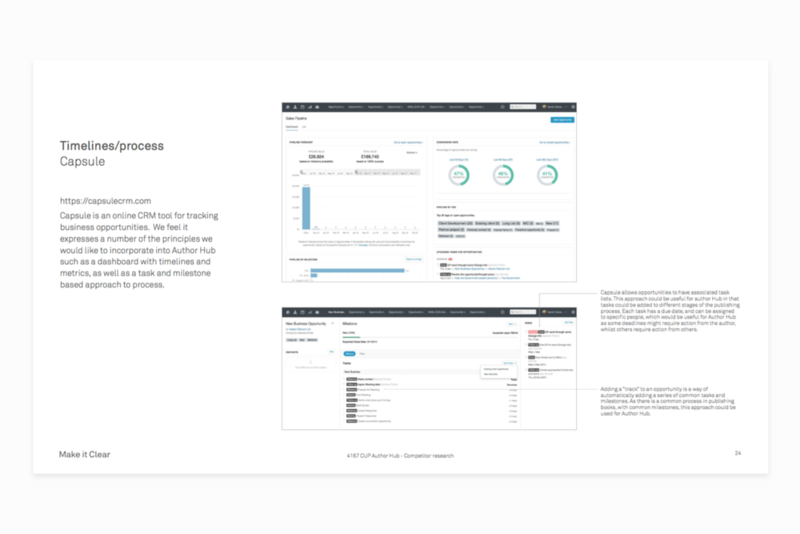 CUP wants an online tool that helps authors and the Press' staff collaborate by providing a central location for keeping track of the publishing process, sharing files and managing tasks and deadlines. The initial research for this job involved competitor research and user interviews. We spoke to both authors and Press employees to build an overall understanding of the publishing process from both their points of view. We looked at what other publishers are doing in this space, but also looked further to see what we could learn from the way key features are implemented by software in other areas. From our user interviews we created a handful of personas which would help us design for different objectives, motivations and levels of technical competency. 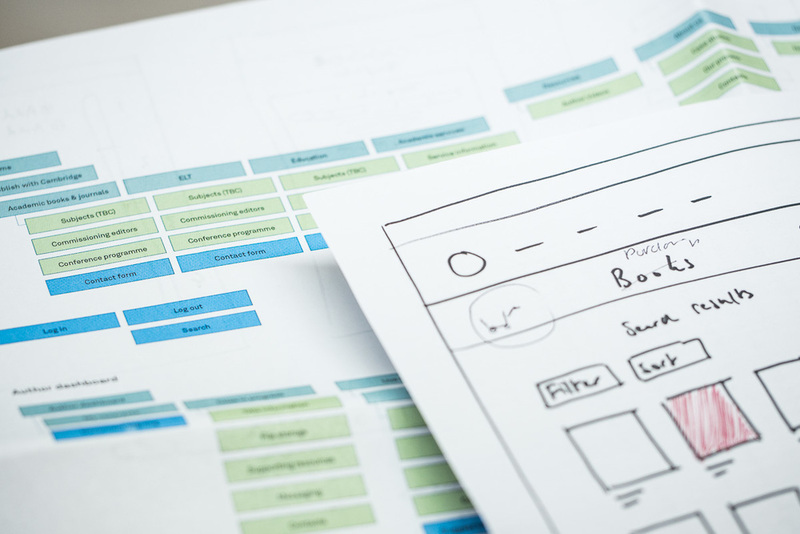 After establishing a site structure, we created wireframes for key pages and functions. These were then brought into InVision to create prototypes for a series of key user flows. These prototypes were then shown to the authors and publishing staff we spoke to as part of our initial research. This allowed us to check whether we were addressing the requirements and issues raised in our earlier interviews, and iterate on our designs accordingly. As we iterate our wireframes and bring them closer to being signed off, we have been proposing concepts for the look and feel of the platform. Whilst I have not produced any of these concepts myself, my role has been to support the UI designers by briefing them on functionality, as well as providing internal feedback on designs. This project is currently in progress. My current role is to iterate the wireframes according to feedback from the client, as well as helping to ensure the UI design concepts continue to evolve to reflect the latest wireframe iterations and client feedback.